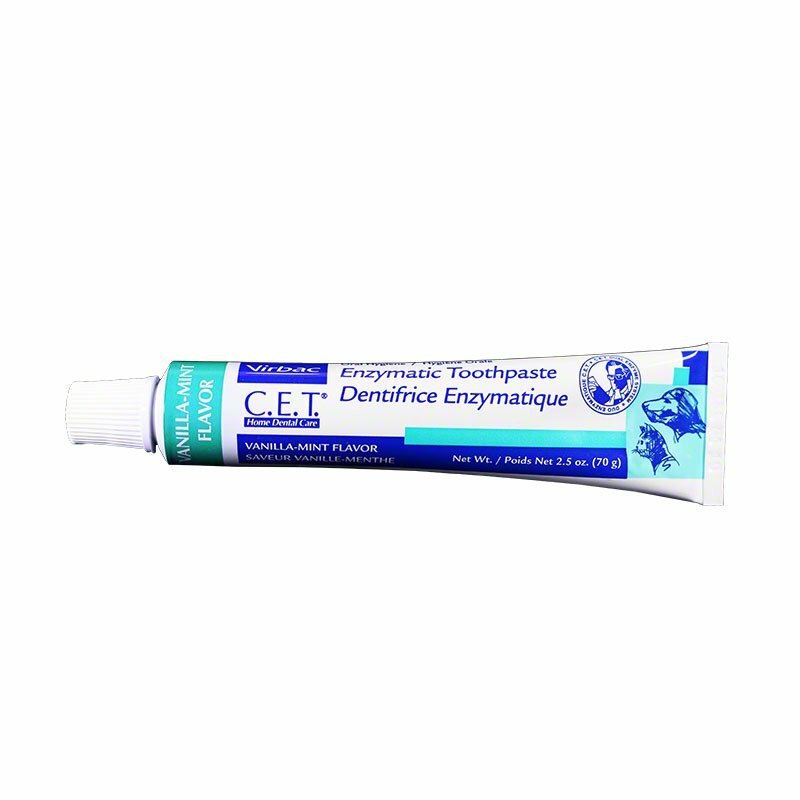 CET Toothpaste 70-gram - Vanilla Mint Pack of 6 is a Dual-Enzyme System toothpaste formulated for dogs and cats to provide natural antibacterial action and to inhibit the formation of plaque. 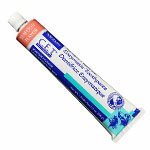 CET Toothpaste 70-gram - Vanilla Mint Pack of 6 is a Dual-Enzyme System toothpaste formulated for dogs and cats to provide natural antibacterial action and to inhibit the formation of plaque. Also acts quickly to help eliminate mouth odors. This toothpaste comes in Vanilla Mint flavor and contains no foaming agents, so they are safe for pets to swallow. Vanilla Mint flavors are well accepted by pets to help make brushing easy. Available in 2.5 oz (70 g) tubes. I have been using C.E.T Vanilla-Mint toothpaste with my two Shih Tzus since they were about 5 years old and they are now 14 and 12 years old. They get their teeth brushed every morning with the vanilla-mint flavor and they literally wait for me to get it out because they absolutely love the taste of it. Their teeth have remained so clean that their vet is always surprised when she checks their teeth. 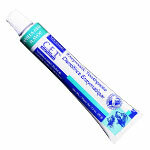 They have not had to have their teeth professionally clean since I began using the CET toothpaste. I hope Virbac never quits making this toothpaste like they did their Oral Hygiene Rinse, which I has also used and it was excellent. 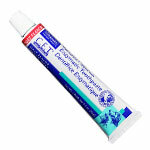 I have been using CET Vanilla Mint toothpaste with my mini Australian Shepherd since he was a puppy. He loves the stuff and can't wait to get his teeth brushes every night after his walk.